Attendance: 24 people were in attendance. The meeting was opened at 8:39 am by President Nicole Fortier. Motion: Roberta Trahan moved and Del Arnold seconded: To adopt the agenda. Introductions: All those in attendance introduced themselves. Eileen Mason reported that we have 1200 plants to plant this Saturday, from 8-12noon. Volunteers are still needed. She is also looking for people/businesses to take a week of watering/weeding for the summer so we can keep the flowers looking great all summer long. Membership is up. We have 124 members to date. Sponsorship is down a bit. Sponsorship levels for Strawberry Festival, Third Thursday, Harvest Festival and Beautification were discussed. A special thank you to Steve Sherlock for all his work on the website. Hope to launch in June and all members will have links on the site. Thank you to Diane & Michael Glass for the office space and new lights. Thank you to Dean College for the space and refreshments. Nicole Fortier announced the Strawberry Festival will be held June 17th from 4-8 pm. There will be a planning meeting on May 25th at 8:30am. A special election for the town override will be held on June 8th. Still reviewing underground utilities for small piece of East Central Street. Water main construction will be occurring in June or early July. Town Web-site will continue to have updates on the Downtown Improvement project. Public input is desired on the project and it is easy to do on the web. 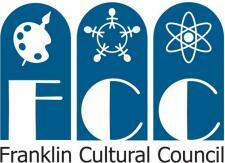 The town is doing some marketing about doing business in Franklin. They have put together a series of PDF brochures that are on the website. The museum is now open. The Ribbon Cutting was held on May 22. Hours will be Thursday evenings from 5-8pm, Saturday 10am -1pm and Sunday afternoons 1-5pm. Those in attendance shared what was happening in their businesses/organizations. Meeting adjourned at 9:25 am.